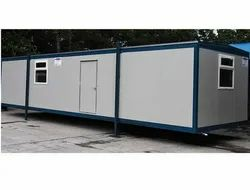 Manufacturer of a wide range of products which include construction shelter, ms porta cabin, portable classroom, storage building, pvc portable cabin and steel portable cabin. In order to foster good relations with the clients, we are involved in the manufacture and supply of Construction Shelters. The main application of these construction shelters lies in their being used for roofing purposes due to their flexibility, high quality, easy to bend nature and other characteristics. 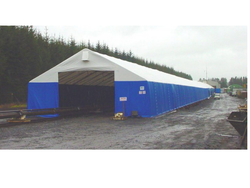 These construction shelters could be cleaned quite easily and are available at affordable prices to suit the pocket requirements of the clients. Riding on unfathomable volumes of industrial expertise, we are offering an interesting range of MS Porta Cabin. 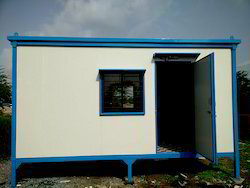 Widely used in project sites, offices, colleges and schools, our adroit professionals use high grade components and the latest technology in conformity with industry quality standards to construct these container cabins. 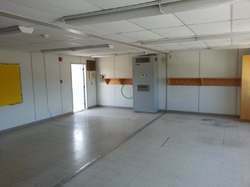 For the diverse requirements of our clients we are offering an extensive range of Portable Classroom. These are fabricated using optimum quality material, which is procured from our reliable vendors of the market. 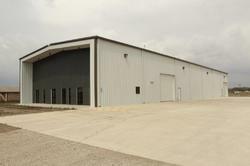 Leveraging on our vast industry experience, we have emerged as a notable maker of Storage Buildings that are well-ventilated and maintain desired temperature. These buildings are designed by our professionals using premium quality raw materials and latest technology as per the latest market trends.